Image courtesy of Devin Andrews/DVIDS. This article was originally published by the Danish Institute for International Studies (DIIS) on 26 September 2018. 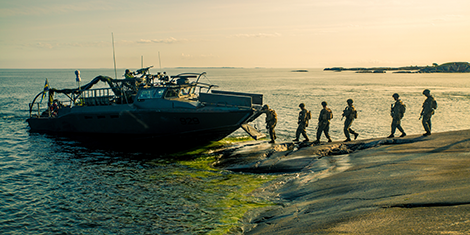 Starting from different points of departure, the Nordic countries are coming closer together regarding their outlook on security, due to a perceived Russian threat and lack of American leadership. Multilateral forums like NATO, the EU and the UN remain their best chance of contributing to defining and addressing threats to their own and global stability. Image courtesy of Hubert Delany/DVIDS. This article was originally published by The Polish Institute of International Affairs (PISM) on 12 September 2018. 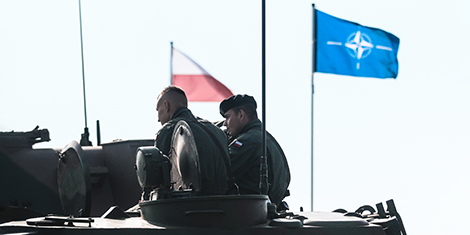 Implementation of the NATO Brussels Summit decisions will enhance deterrence and defence on the Alliance’s Eastern Flank, especially through an improvement of the ability to mobilise and deploy larger reinforcements. At the same time, NATO members’ different threat perceptions, including their view of Russia, remain a challenge. 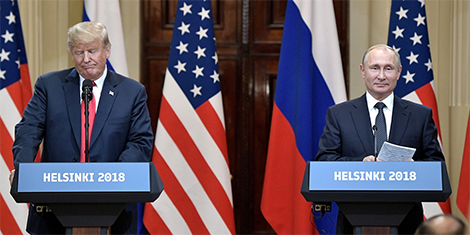 Maintaining the U.S. in the lead role will be key to further adaptation but this position could be weakened by growing transatlantic tensions and dissonance in the American administration. 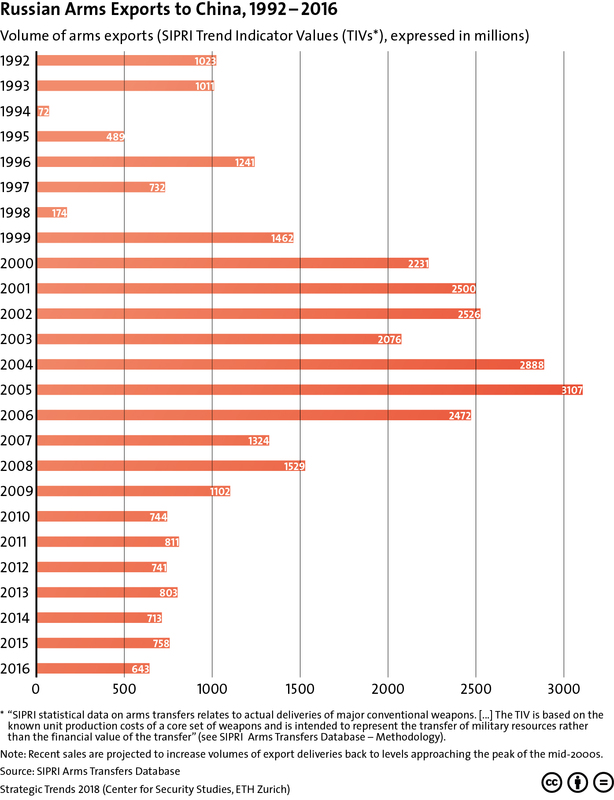 This graphic charts the volume of Russian arms exports to China from 1992-2016. For more on the strengthening China-Russia relationship, see Brian Carlson’s chapter for Strategic Trends 2018 here. For more CSS charts, maps and graphics on proliferation, click here. This article was originally published by the Lowy Institute on 17 September 2018. There will be broad continuity in Russian foreign policy over the course of Vladimir Putin’s current presidential term. Any policy changes will be stylistic, not transformative. The Kremlin is committed to asserting Russia as a global power, although it will be tactically flexible in pursuing this ambition. Putin will present different faces to the West: sometimes accommodating, at other times assertive and even confrontational. But there will be no compromise on core principles. This article was originally published by Political Violence @ a Glance on 5 September 2018. In recent months, many observers of the still-smoldering civil war in Syria have concluded that Bashar al-Assad’s triumph, once unthinkable, now appears inevitable. 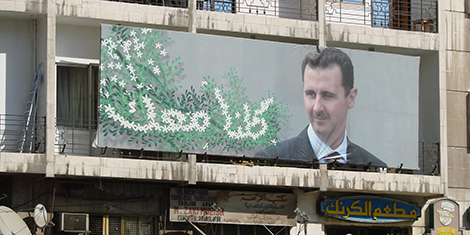 How did the Syrian regime accomplish such a come-from-behind victory? Most analysts emphasize how Assad benefited from extensive international support from Russia and Iran, as well as non-state militias like Hezbollah. They also credit Assad’s deft deployment of a divide-and-rule strategy, in which he sought modus vivendis with some opponents—ISIS and Kurdish rebel groups carving out autonomous spaces far from Damascus—while unleashing the full weight of his military strength on moderate Western-backed rebel factions. Yet the most important factor in Assad’s victory was neither his international support nor his wartime strategies; rather, Assad triumphed because Syria’s armed domestic opposition was hopelessly fragmented from the beginning to the closing stages of the conflict.